Cher performed at a sold-out TD Garden. OK, look, this time she means it. Maybe. After declaring her 2002 stretch on the road her farewell tour, it went on for three more years and then led to a three-year casino residency in Las Vegas. When Cher came to a sold-out TD Garden on Wednesday, her first Boston concert in more than a decade, she reiterated that this was the last chance to hear her live. 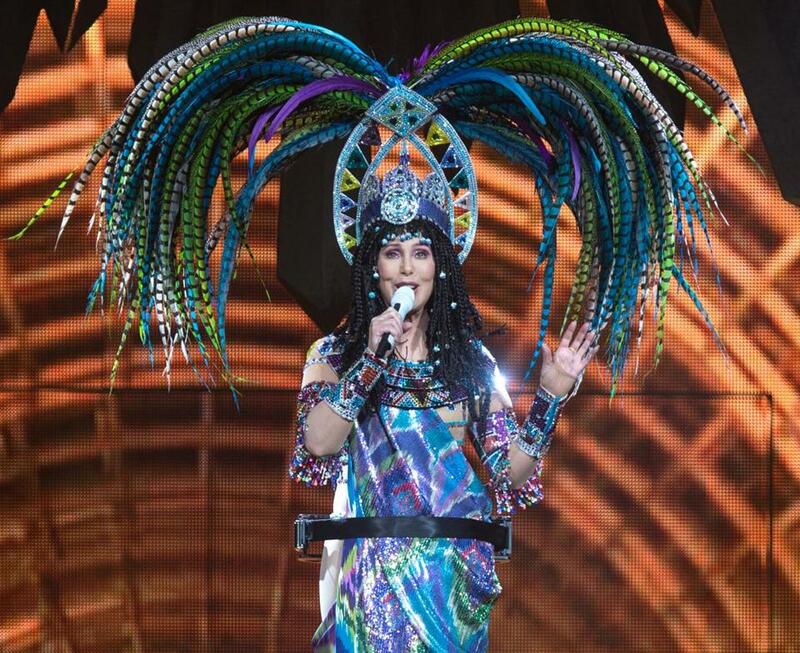 As the crowd’s boos swelled, Cher reassured the faithful. She winked and turned around to reveal her fingers crossed behind her back. We got the point: Why should she stop now? The truth is, Cher doesn’t need to stop. She is in exceptional form, as a singer, entertainer, and tour guide through her 50 years in show business. She’s 67, yes, but that is irrelevant beyond the comic relief it imparted when Cher mentioned that she was limping a bit because she recently had foot surgery. She was also aware of just how well she has persevered. “I can still get into my ‘If I Could Turn Back Time’ outfit, and I’m almost 100,” she joked. Sure enough, she did exactly that later in the evening when that song rang out in a rumbling singalong. With five decades of songs to whittle down, there is no point in quibbling with the set list, even if, like me, you’d rather hear more from her 1960s catalog instead of her cover of an insipid Miley Cyrus song, the closing “I Hope You Find It,” during which she soared over the crowd in a floating platform. From her ’60s heyday alongside Sonny Bono, Cher performed “The Beat Goes On” and sang to archival video footage of the late Bono doing his parts on “I Got You Babe.” It was unexpectedly sweet and not at all morbid. She skimmed the ’70s (“Gypsys, Tramps, & Thieves,” “Dark Lady,” “Half-Breed”) and saluted her inner dance diva (“Believe” and a handful of songs from last year’s “Closer to the Truth”).